The Youth of the Year recognition program celebrates teens who have overcome enormous odds and demonstrated exceptional character and accomplishments. Being named Youth of the Year is the highest honor a Boys & Girls Club member can achieve. Meet five inspiring young leaders who are shining examples and living proof that great futures start at Boys & Girls Clubs. 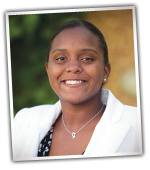 Romonia "Mona" Dixon, a five-year member of Boys & Girls Clubs of the East Valley (Ariz.), is the 2010-'11 Pacific Region and National Youth of the Year. For much of Mona’s life, she and her family were in a constant state of change, moving from one homeless shelter to another in city after city. Her family was often separated on a daily basis to ensure that everyone had a warm place to sleep each night. These difficult and challenging experiences led Mona to seek out a place that she could call “home.” Five years ago, she found a place to call home after joining Boys & Girls Clubs of the East Valley. From her first day at the Club, she took advantage of every available opportunity to teach younger children about the importance of being responsible, caring, productive members of society. She believes in turning setbacks in life into motivators to succeed and uses her story to inspire others. 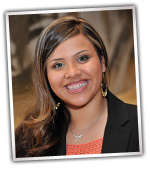 Maria Hernandez, a six-year member of Boys & Girls Clubs of Cleveland (Tenn.), is the 2010-'11 Southeast Region Youth of the Year. She credits her experiences at her Club with helping her rise above challenges, build her self-esteem and improve her overall well-being. Maria now remains actively involved in community service and views her service as an opportunity to teach others about its value. 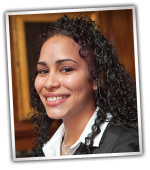 Delsy Morales, a 10-year member of Boys & Girls Clubs of Delaware, is the 2010-'11 Northeast Region Youth of the Year. Delsy's life began in an environment plagued by drugs, alcohol and violence. These experiences drove her to follow dreams of a great future. Ten years ago, Delsy found a place to create her great future at Boys & Girls Clubs of Delaware where she matured into an active Club leader. 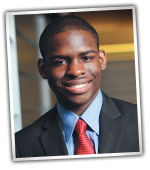 Darrius Shaw, a 12-year member of Boys & Girls Clubs of Greater Dallas, is the 2010-'11 Southwest Region Youth of the Year. Darrius seized every opportunity his Boys & Girls Club offered, from tutoring and mentoring to serving within his community. The Club has helped boost his confidence, inspired him to master his public speaking skills and pushed him to excel in every way. 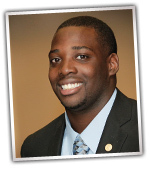 Tommy Walls, a four-year member of Boys & Girls Clubs of Greater Milwaukee, is the 2010-'11 Midwest Region Youth of the Year. Born into dire circumstances in Detroit, surrounded by mental illness and drug addiction, Tommy moved to Milwaukee to live with an adult cousin and begin a new life. Since moving, Tommy has made it his mission to make a difference in the lives of others.